Whitney Vickers | Greene County News The policy will go into effect March 1 and will apply to all branches of the Greene County Library. GREENE COUNTY — All Greene County Public Library property will be smoke-free effective Thursday, March 1. Smoking and vaping is already prohibited inside all library buildings. This change will extend the policy to all library property including lawns, parking lots and sidewalks. The library worked in coordination with Greene County Public Health to develop the new policy. 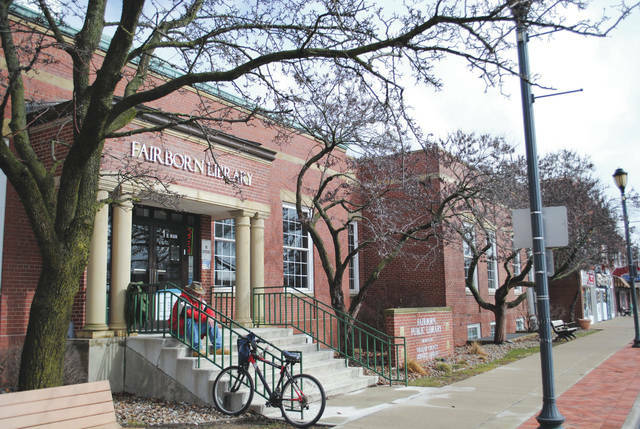 “This policy will ensure that the public spaces outside library buildings are enjoyable and welcoming to all library patrons,” said Karl Colón, Greene County Public Library director. For more information, visit the library’s website at www.greenelibrary.info. The library system consists of seven locations: Beavercreek, Bellbrook, Cedarville, Fairborn, Jamestown, Xenia and Yellow Springs. https://www.fairborndailyherald.com/wp-content/uploads/sites/50/2018/02/web1_librarysmoker.jpgWhitney Vickers | Greene County News The policy will go into effect March 1 and will apply to all branches of the Greene County Library.